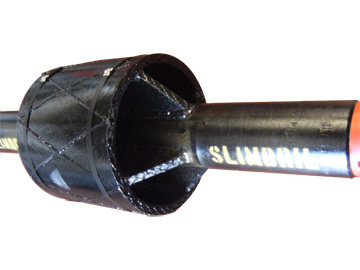 SlimDril can offer the drilling contractor a large range of centralisers specifically for HDD applications. Slimdril Centralisers work in front of the hole opener and align the cutters in the centre of the pilot bore ensuring a smooth round hole. This maximises the life of the cutters and therefore increases production rates. All Centralisers are built the most exacting standards using the best quality materials and are fully hard-faced to suit the customer’s requirements. Single ring or one -piece blade type are available with either straight or spiral blades. Centralisers are available for purchase or rental.